I've been playing around with some tutorials and am starting to make some progress learning how to model. I've been using the metric setting and ratio of 1 for my drawings, and making a 4x4 building cover a 4x4 area in Blender. But I just imported the example Apiary into blender to see how thick the default timber beam width was etc, and the model is tiny! What starting settings should I be using, and how do I make sure my models are an appropriate size for Banished? I just had a look at @Discrepancy 's tutorial again. I haven't gotten up to the bit where he (?he/she?) talks about scale. And there it is! Apparently after drawing we have to reduce our wonderful house way down to a tiny scale of 0.01! Wow. 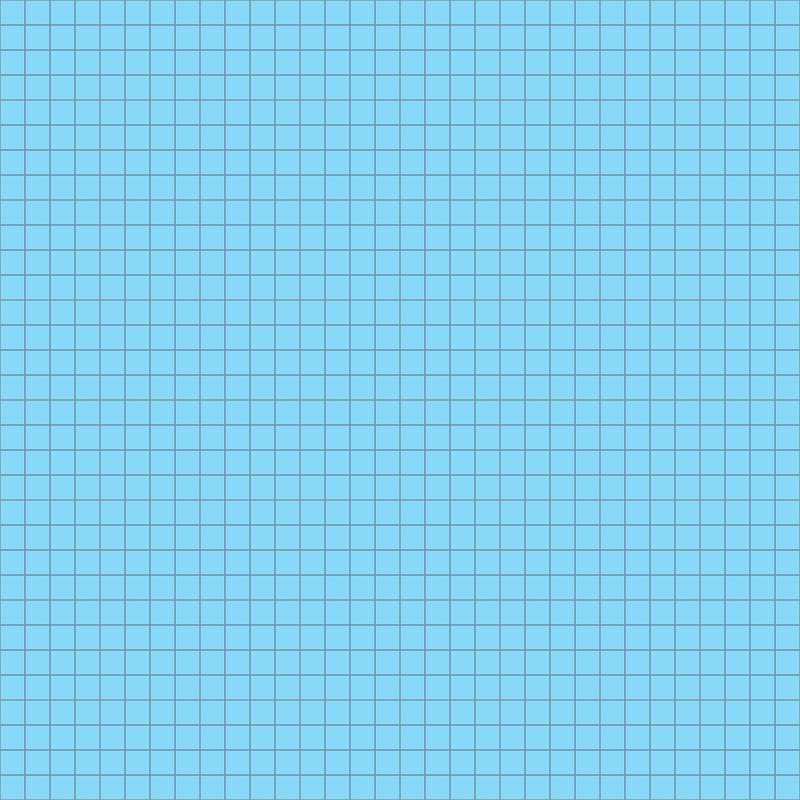 But, to be clear, if I draw in Blender on the grid, then am okay with 1 square = 1 block in the game, and then I reduce it to 0.01? I have some vague memory of reading quite recently (maybe in @Voeille 's wonderful fern conversation) about .6667 being 1 block in something??? No, there wasn’t anything about the blocks in my thread, it’s about ghosted plants so grid doesn’t matter And yes you do need to import FBX with scale 0.01. By drawing you mean making the model, right? Not drawing on the texture? I scale everything to 0.01. First I work in scale 1. There is where I save blender-file. Press A once or twice to select all. Export as fbx. Now it is ready for game. Earlier I did export/import with scale but this way is much simpler. @Voeille yes, sorry, I meant making the model (not up to textures yet). @kid1293 i'm trying to come from the other direction first, so I can see what size beams everyone is using, so that the thickness of my timber outline and frame is consistent. So I was trying to import the existing Apiary (or anything) so that I can essentially make my model's outline and timber post thickness the same. But opening the Apiary, and then increasing the size of it doesn't actually seem to be working. If I start a new model, and I use the unit scale of 1, and I base my house on a 4 x 5 grid, what thickness should I make each timber frame so it looks right in game? And how wide on average is everyone making their doors? @BlueFireChelle - My doors are usually 1.05-1.10 high and 0.7 wide. Beams vary, but I have a habit of making them a little extra thick. Something like 0.12-0.16. Frames around windows are usually 0.04-0.05. Around the door a little more. One floor is usually 1.12 to 1.24 high. That vary too. all commands you need to make models. From there it is easy to export to Blender. as you want. It will take time to find your own way. Be persistent! It will work! I can also recommend you to start model making in Sketchup. It's a great tool to make things in a simple and intuitive way. I use it to create all my models as pure sketches and import them into Blender for the game connected steps. For all these further processing Blender is very powerful but for 3d design it's awkward to handle, in my opinion. About size, I draw everything in real size counted in meters. I just have a better feeling for the right proportions in this way. Scaling it down to game tiles is a simple step in Blender later. The walls or outstanding beams of my log cabins are 20 cm thick. The beams of timber frame houses I'm working on are similar. Sometimes more, sometimes less but minimum 15 cm. Walls (if you have open doors and to have to model inside the house) should be also minimum 15 cm. 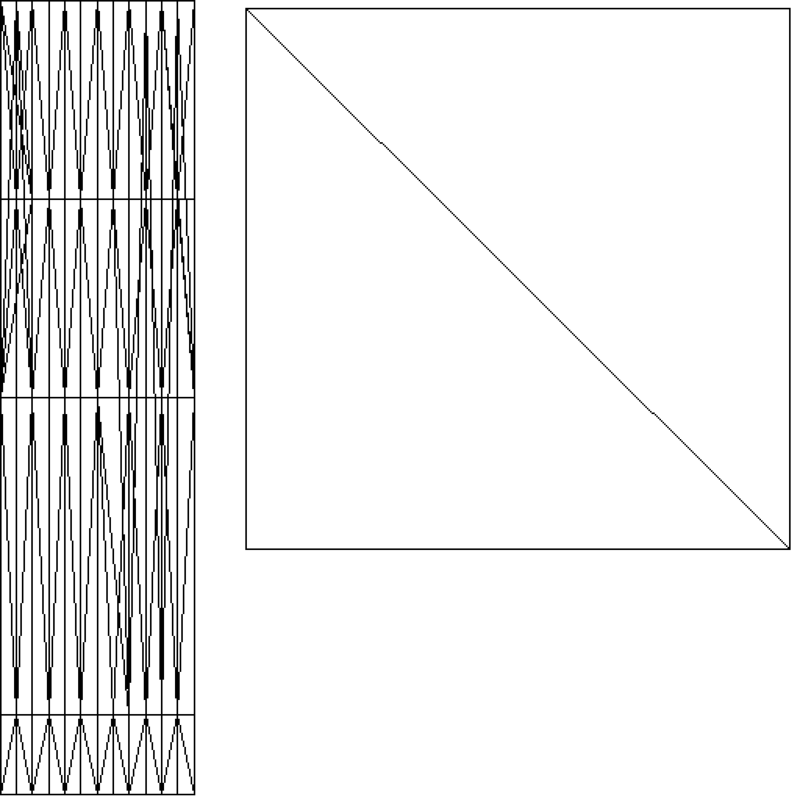 There is a kind of rule connected with a shadow glitch we call "moire" because it looks like this on surfaces of thin objects. If it is more than 15 cm it doesn't occur. So my first step would be to become familiar with the basic tools in Sketchup and to build a simple house. Like in this video, which is another recommendation to check out his nice tutorials. thanks to you both! I have been working on it today and ended up using 20cm thick beams. My doors so far are around 80cm so that should work. I'm stuck on the UV map of the roof though. One face is not showing and I can't figure out why! I'll keep working my way through this house first. And if I continue to be stuck then I'll try Sketchup first. So far, I have all the beams done. I'm just trying to work on the overall external faces and detailed bits. I found a free simple program called UV Mapper helpful with creating the maps. You need to export your model as OBJ, open in that program, make the map, and export as OBJ again. Then adjust it in blender or other 3D program you use. 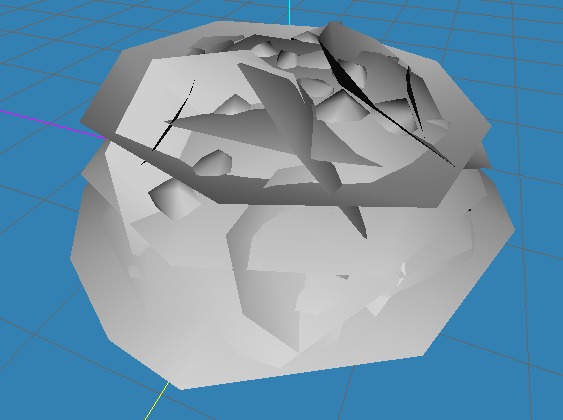 A nice thing about UV Mapper is that it lets you create non-default base maps, for example a planar map for a sphere or sphere map for a cube, which can be useful for some models. Thanks to that you will easily see whether something is stretched or distorted. I learned that from a modelling tutorial for Sims 2, but is useful anywhere. If you’re ever going to make plants or something for which alpha is very important, it’s good to make a basic and poorly done texture very early, but with alpha similar to what you want for the end result. It makes modelling much easier, as alpha affects a lot. When your model is close to be done, make proper textures and further adjust the model according to them. 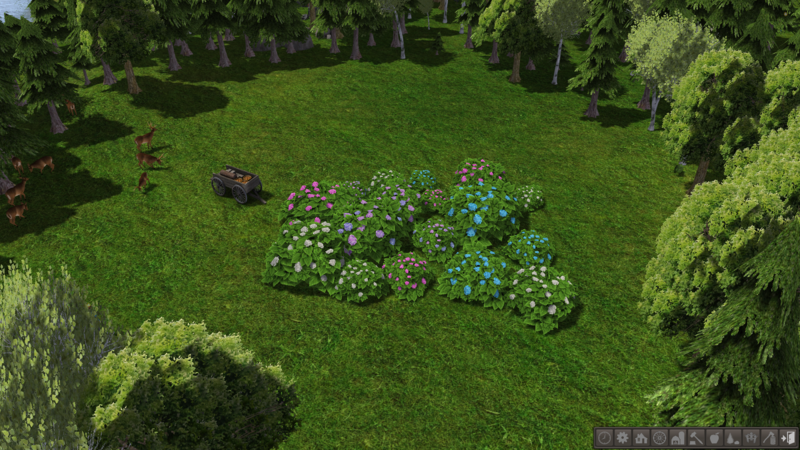 For example, this is the model for my hydrangea, and this is how it looks in the game. There’s no way I could get it right without texturing during the process. I am so close! But my UV wraps are a mess. I am going to push through with the current model because I really want to see what it looks like in-game despite the fact that I know there are issues. But I am stuck! At the moment, I somehow ended up with multiple little images in the UV map for the same mesh/item. So, for example, I have the mesh that I used for the wall panel, and I unwrapped it once and then duplicated that piece on the model... but I was doing something in the UV map and somehow ended up with it appearing on the overall map twice. I can't delete individual unwrapped things from the UV map and I don't want to have to select the little edges again because now the things are in the model (the wall would be okay, but I have another shape that's not easy to separate now). How can I click on the UV map and delete just a couple of the unwrapped outlines? If you have multiple images in UV map means you have multiple versions of the model. it is hard to tell you what to do. If you have two wall panels in model you WILL have two wall panel UV maps! Usually they are just layered on top of each other when you duplicate in model. If you move one UV map you suddenly see both. Is this what happened? I’m by no means a Blender person, I’m still very new to it. I’m more used to Milkshape 3D and UV Mapper, but not great at either of them. But what I think happened is that you duplicated something on the model and it appears twice on the map. When I used the unwrap option for my plant when I was having trouble with something (it ended up unrelated, I had the UV channels fine), and it placed all the individual planes on the map next to each other! You can select them one by one and put on top of each other, but if I know that I’m going to have multiple copies of something (and I definitely do with plants a lot), I make one instance (say it’s a flower), map it, and then duplicate it and place where I want it. In Milkshape at least, if you duplicate something it keeps the map of the original thing. That way I can have a plane-based plant using tens or hundreds of planes (it’s better to stay in tens for the poly count ), and all the planes share exactly the same map. For example, my tree has a trunk, several branches, and a bunch of planes that make leaves. And this is the UV map – all the branches and the trunk share the piece on the left, and all the planes share the piece on the right. I think that's what I have done though.
" I make one instance (say it’s a flower), map it, and then duplicate it and place where I want it"
That's what I did. So I thought that the UV map will have only one rectangle wall piece shown even though I have lots of different sizes walls, there is only one face on the UV map for them all to refer to. (At least, this is what I think is happening, maybe I misunderstand how it works). I am making a total mess of how I am making Edge Seams, so I will need to completely re-do the whole UV map anyway. I was just hoping to be able to look at the textures on the model before going too much further.